One of the services provided by Lighthouse Consulting is near shore call center management, consulting and agency set up, particularly on the island of Jamaica. So in order to better educate my US call center operators I will start providing information about call centers that are involved in debt collection, debt settlement or other ARM services in Jamaica. an overturned boat on the beach in the Caribbean. 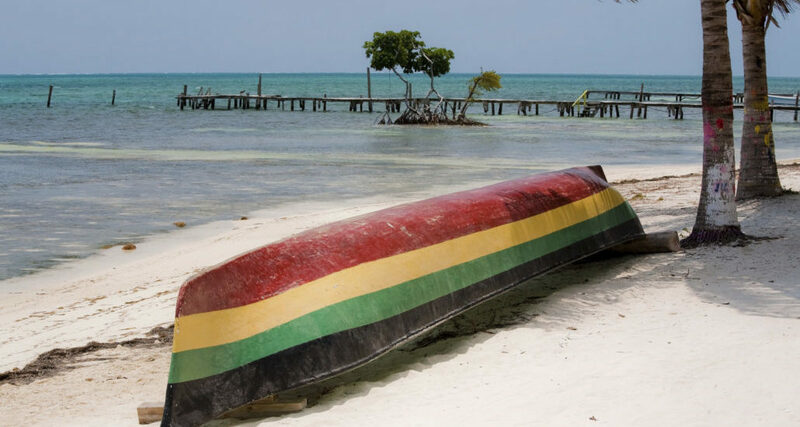 Boat is painted “Rasta” colors. Let’s start by giving you some information. Jamaica is a major call center destination receiving and making calls around the world to English-speaking countries. Call centers handle everything from Pizza delivery orders in Montréal, Medicaid healthcare products sales, Cable TV sales, debt collection and many other projects. There are tens of thousands of trained call center workers in Montego Bay and Kingston. Vistaprint has they’re only worldwide call center in Montego Bay and is one of the major employers of the city. Delta, Fingerhut, American Airlines, Insurance companies and many more all use call centers on the island. I first came to the island as an auditor for collection accounts that were placed in there with Alliance One in 2000. So as you can see the island has a long history of debt collection. In future articles I will provide information on some of the call centers that currently exist on the island and how they may Bring value to your debt collection operation. With the average wages for a trained bill collector in Jamaica equaling half that of the US and similar results, the ROI is easy to caculate.